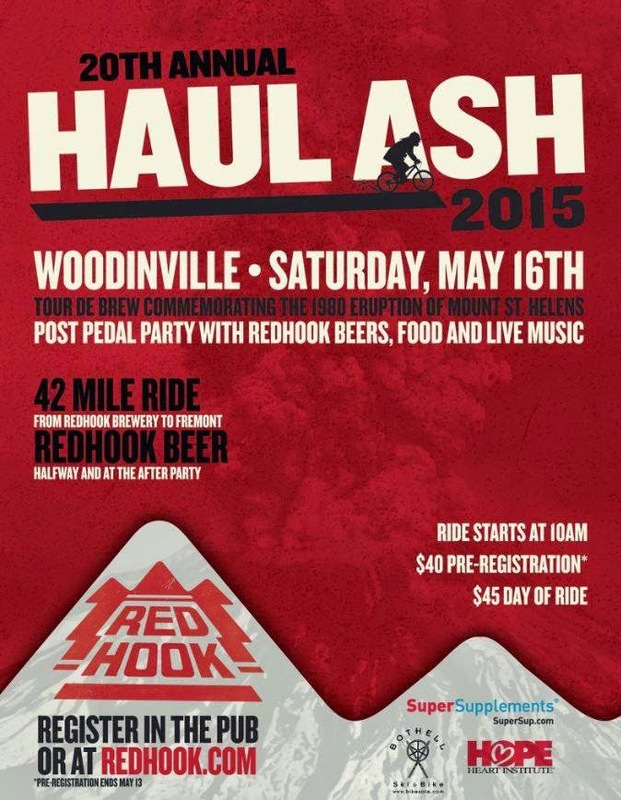 SEATTLE — Redhook Brewery will kick off cycling season in the Pacific Northwest with its 20th annual Haul Ash Tour De Brew on Saturday, May 16. The ride commemorates the 35th anniversary of the 1980 eruption of Mount St. Helens. Hundreds of cyclists will embark on the 42-mile round-trip ride from Redhook Brewery in Woodinville to LTD Bar & Grill in Fremont, pedaling their way on the scenic Burke-Gilman Trail. Upon arriving in Fremont, participants over the age of 21 can quench their thirst with a cold pint before biking back to the brewery for a post-ride celebration. The ride will last about 2.5-4 hours. Preregistration is $40, or you can register on the day of the event for $45. Participants may register online now at secure.getmeregistered.com, or at Redhook Brewery’s Forecaster’s Pub in Woodinville, beginning February 28. 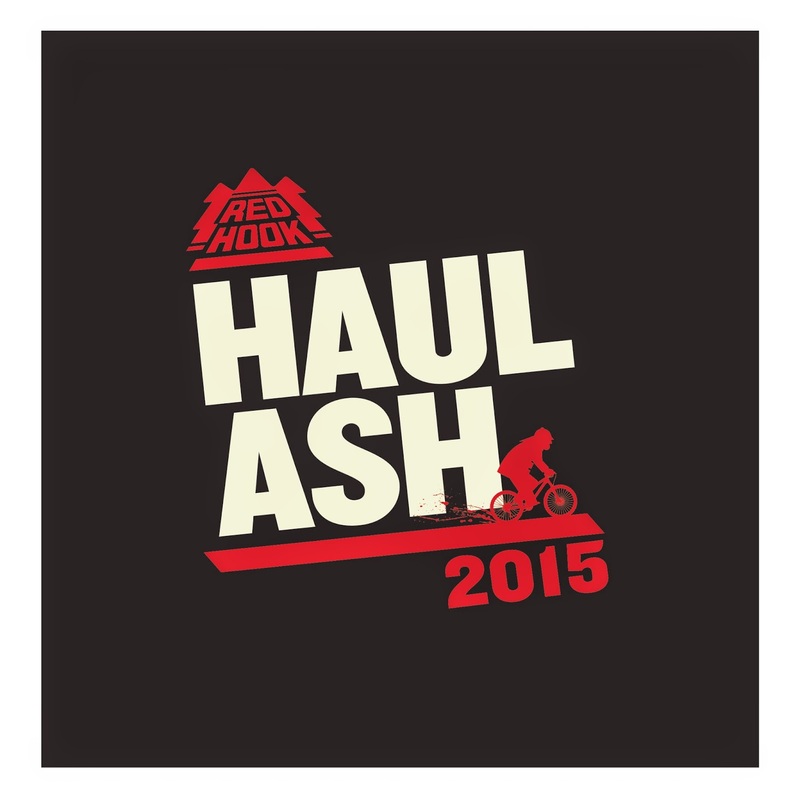 All participants will receive a Haul Ash t-shirt, pint glass, a pocket-sized cyclist survival tool complete with a beer bottle opener, two beer tickets and entry to the Post Pedal Party. Admission to Redhook’s Post Pedal Party is included in the registration fee and will include beer, delicious hot food and live music. The event is open to all ages, with a suggested $5 donation to The Hope Heart Institute, a Washington-based nonprofit dedicated to research, education and prevention of cardiovascular disease in the Northwest. Ride begins at 10 a.m., Post Pedal Party lasts 12:30-4 p.m.
Redhook was born out of the energy and spirit of the early 80s in the heart of Seattle. While the term didn’t exist at the time, Redhook became one of America’s first “craft” breweries. From a modest start in a former transmission shop in the Seattle neighborhood of Ballard, to the current breweries in Woodinville, WA, and Portsmouth, NH, Redhook has become one of America’s most recognized craft breweries. While Redhook has “grown up” over the past thirty years, one thing has never changed—Redhook is still brewing great beers like ESB, Long Hammer IPA and Audible Ale. Most importantly, Redhook has fun doing it. Redhook beers are available on draught and in bottles around the country. For more information, visit www.redhook.com.